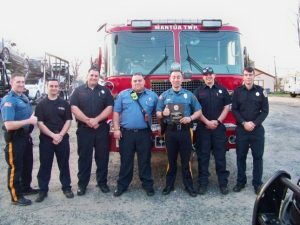 On Saturday Evening, April 14, 2018 in front of a packed house at the Mantua Township Lawson Cox VFW Post 7679 four members of the Mantua Township Emergency Services were awarded for being the top member in their area of expertise. This year Captain Joesph Hauss was nominated and awarded the Fire Fighter of the Year award. Captain Hauss was not in attendance; however, Chief Hauss received the award in front of numerous family and friends and was a well deserving candidate for his outstanding participation to the Mantua Township Fire District in 2017. I would also like to thank the members of the Mantua Township Fire District that attended the ceremony, for their support to the members of the district as well as their pride and dedication to the residents of Mantua Township. 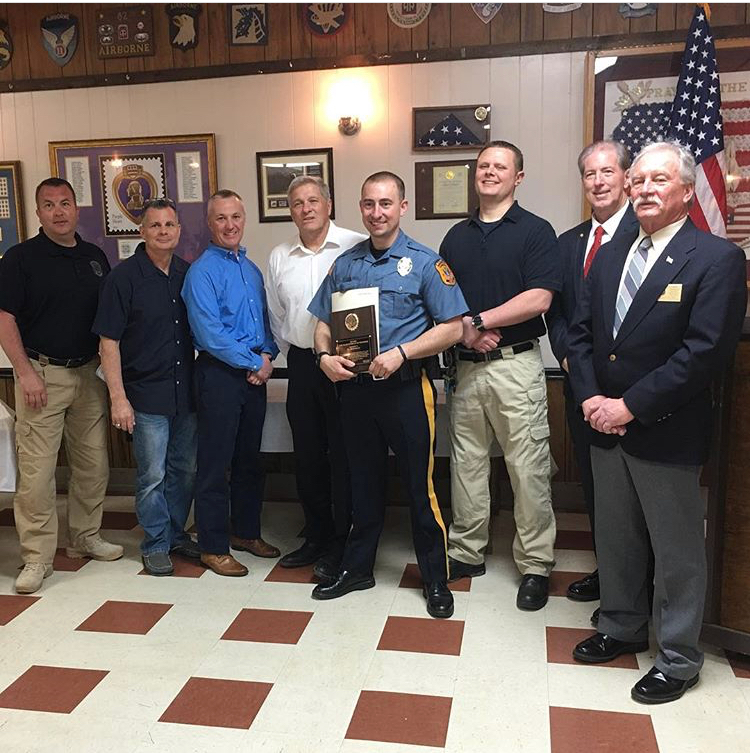 The Fire District would also like to congratulate Patrolman Brian Hauss of the Mantua Township Police Department for also being honored award recipient this evening.